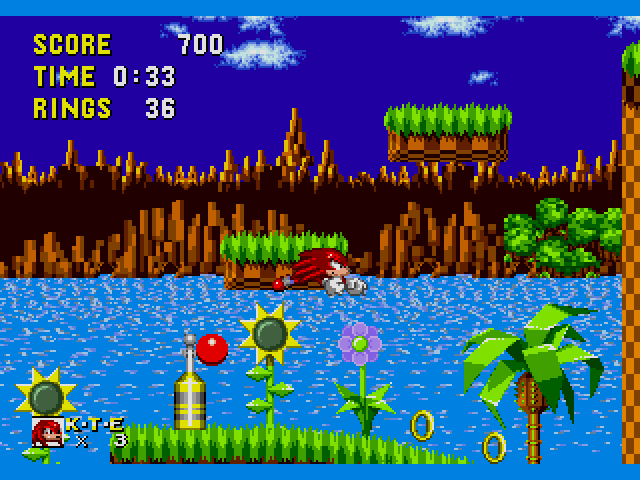 Sonic the Hedgehog (USA, Europe) [Hack by Stealth Rev 1] (~Knuckles the Echidna in Sonic the Hedgehog) is a game that was made by Stealth. 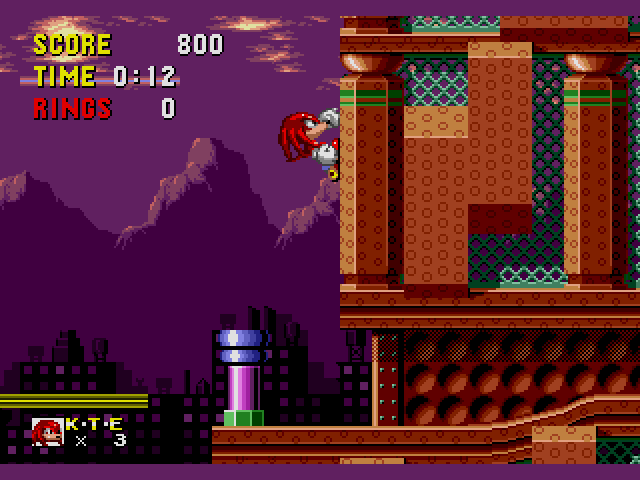 This game features Knuckles (not Sonic) with moves from Sonic & Knuckles (Genesis). 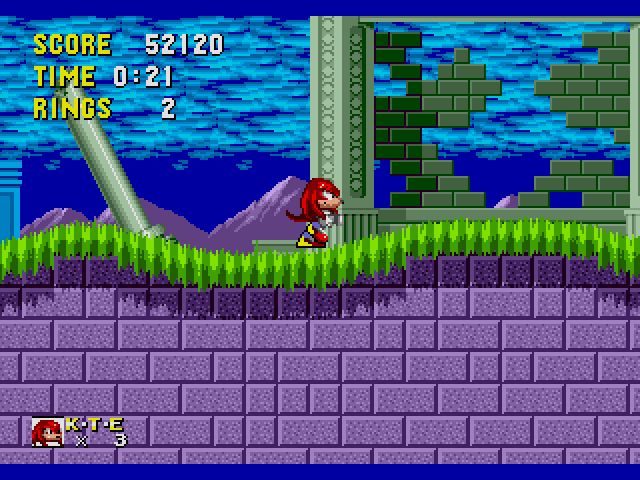 When Sonic and Knuckles was released in 1994, gamers and Sonic fans were hyped. Not only the game by itself was great, but when attached to Sonic 3 they had a huge game on hand. People attached all kinds of games to the lock-on port on top. 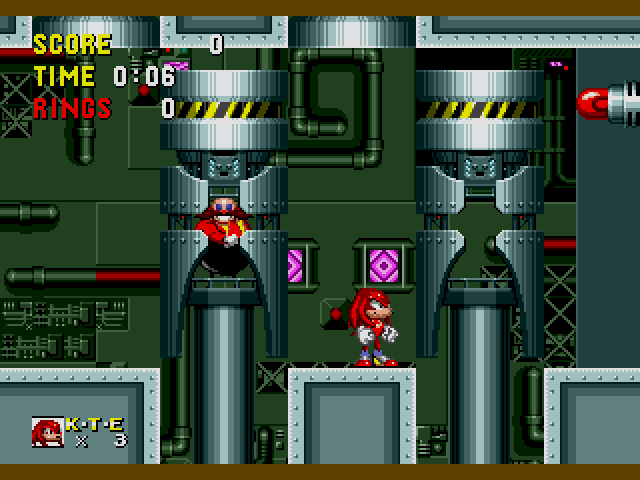 The great breakthrough started when gamers attached the Sonic 2 cart: They could play with Knuckles on Sonic 2. What would be the next step? To attach Sonic 1! 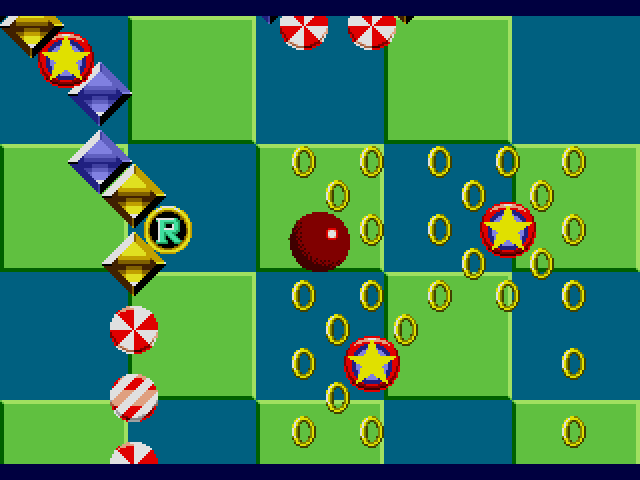 But instead of Knuckles in Sonic 1, what they saw was completely different: The No Way screen (which leads to Blue Sphere). 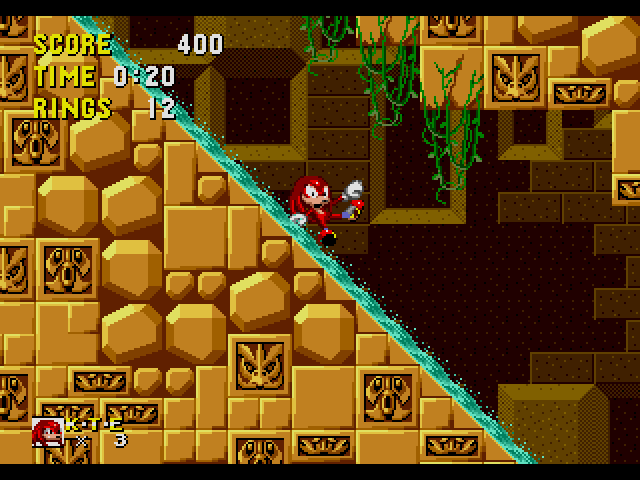 This modification attempts to cover that missing link of being able to play with Knuckles on Sonic 1. 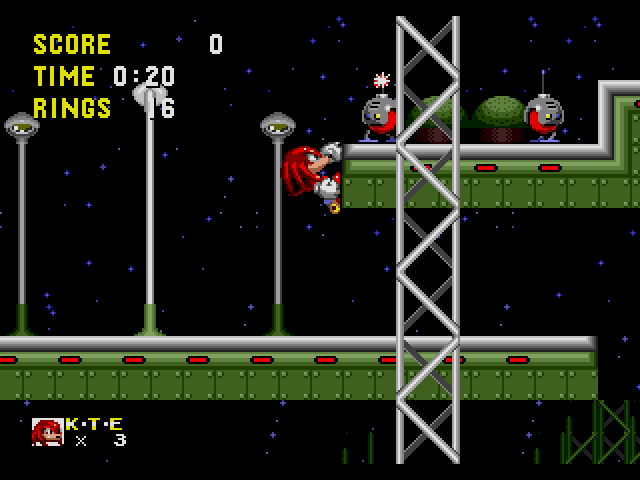 He can glide and climb walls, albeit he doesn't jump as high as Sonic or Tails. Now you can add videos, screenshots, or other images (cover scans, disc scans, etc.) 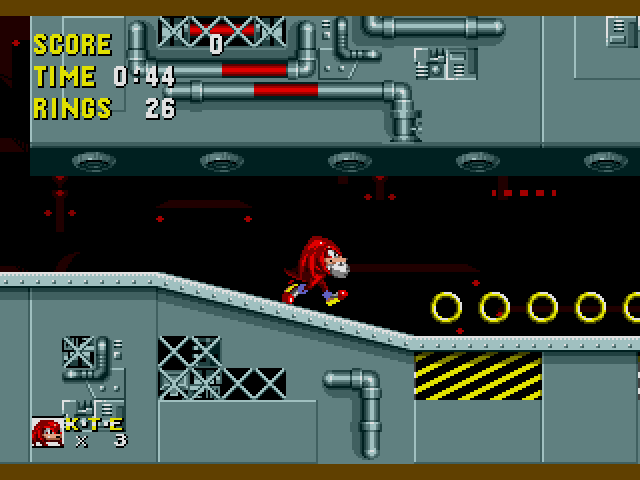 for Sonic the Hedgehog (USA, Europe) [Hack by Stealth Rev 1] (~Knuckles the Echidna in Sonic the Hedgehog) to Emuparadise. Do it now!